Home / Blog / Why is Mark Twain Still so Important today? Why is Mark Twain Still so Important today? 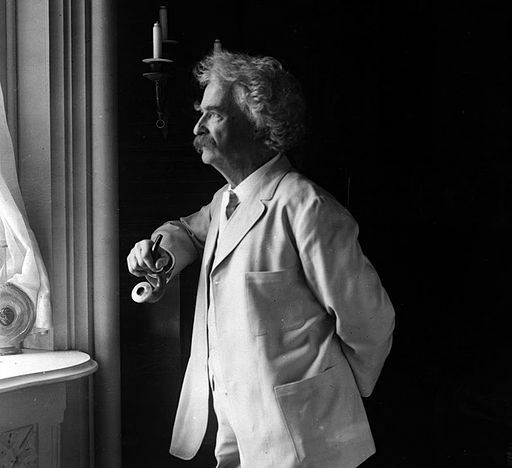 Born Samuel Langhorne Clemens on November 30th, 1835 in the minute village of Florida, Missouri, Mark Twain is revered by many as one of the greatest authors, social critics and humourists that America has ever produced. For all his feats and accomplishments in the literary world, Twain experienced what was, at times, a truly tragic life. His father succumbed to a bout of pneumonia when Twain was just 12 years of age, launching him into the workforce to work as a typesetter and, eventually, a bona fide journalist after years of hard work. Twain would go on to lose a brother in a steamboat catastrophe, as well as three of his own four children. Yet, even in the face of all this misfortune and heartbreak, Twain’s mind, spirit, wit and humour still resonates amongst millions of people across the world. Twain is commonly described as a moralist and idealist. These traits would always be present in any written work he’d produce, fictional or otherwise. Regionalism and the symbolism of river and landscape would play key roles in his texts too, as well as the innocence of youth and the virtues of comradeship. He’d draw on all of this to explore and challenge parts of America’s identity; an inaccessible American Dream, the callous disregard for countryside and, most notably, the hypocrisy behind a country that preached liberty yet practiced slavery. These paradoxical pockets in the country he loved are where his efforts in satire took root. Twain’s written works challenged the fundamental issues that faced the America of his time; racism, evolving landscapes, class barriers, access to education and more. He is celebrated for works such as The Adventures of Tom Sawyer (1876) and his memoir, Life on the Mississippi (1883). Each text he produced was careful to make clear and concise points on society as everyone knew it, with many of his writings still holding relevance today. Every work stands as an outstanding achievement of authenticity, and there are autobiographical elements in all of them, featuring real places and experiences from Twain’s childhood to add further truth to his work. However, it was The Adventures of Huckleberry Finn (1884) which garnered Mark Twain the most attention and cemented his position as a timeless author and cultural icon. Yet another esteemed American novelist, Ernest Hemingway, famously asserted that “All modern American literature comes from one book by Mark Twain called Huckleberry Finn. American writing comes from that. There was nothing before. There has been nothing as good since”. Twain has both moulded and inspired the American literary canon which millions still enjoy today. Huck Finn has taught young Americans right from wrong and the importance of country and friendship, all through a narrative that constantly interrogates the ideals of the nineteenth century American South. Of course, Huckleberry Finn has also drawn criticism. The novel was banned in schools as recently as 2016, due to the text featuring elements of racism as well as many racial expletives. However, the text has always taken an anti-slavery and anti-racism stance and provides this commentary from the perspective of the protagonist, a young white boy. It should be said, too, that locking off children from the past doesn’t allow them to learn from, and be better than, the bad parts of history. Mark Twain was not only brilliant, but also bold in seeing fit to explore and expose what others of his era, and indeed this one, may have called taboo in sheepish ignorance. The raw tenacity, strength and insights that he provides should always be held in high regard and wholly studied. I'm a freelance copywriter with an undergraduate degree in English Literature. I've written for many different outlets, including but not limited to marketing agencies, graduate recruitment websites, and online training companies. I've even interviewed a few famous actors for student and arts blogs too! Covering a wide span of material has been incredibly rewarding, as I get to turn my experiences in the arts, education and careers into helpful advice. I sincerely hope you'll find something to your liking here!